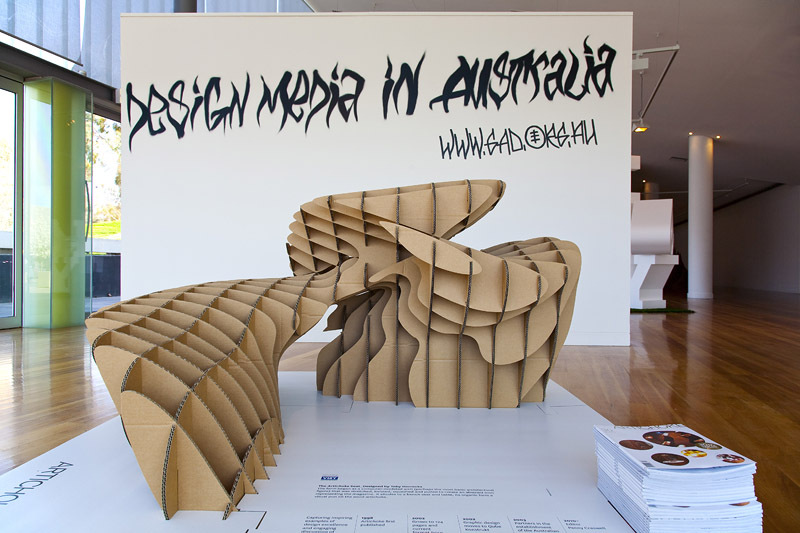 These cardboard forms were designed using parametric computer modelling. 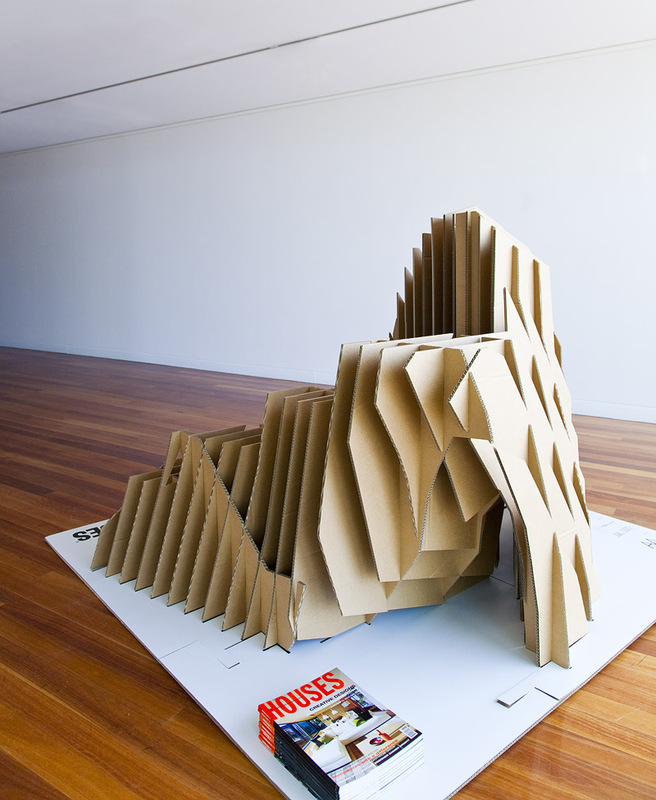 The installation represents Australian design publishing house Architecture Media in an exhibition at the Gallery of Australian Design in Canberra. 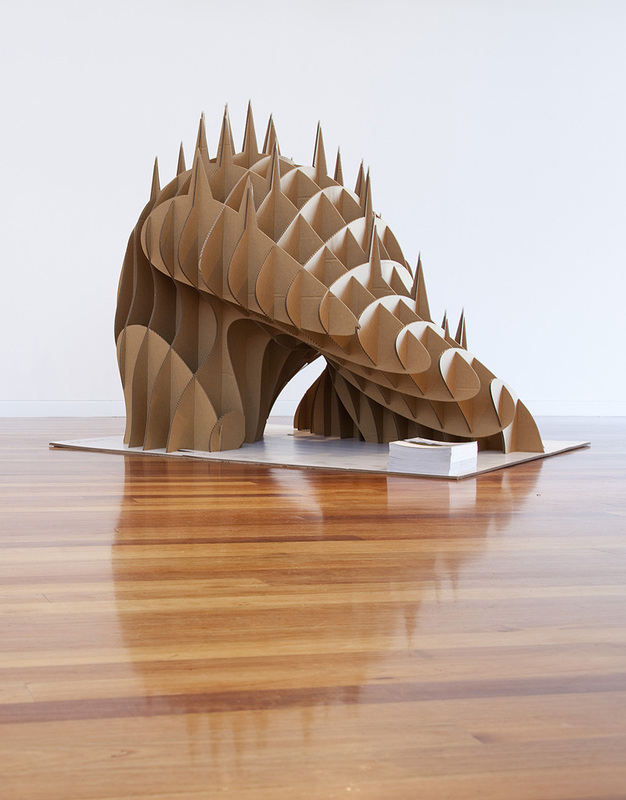 The forms began as a computer modelled arch (perhaps the most basic ‘architectural’ figure) that was stretched, twisted, squashed and pulled to create an abstract icon representing each of four magazines. 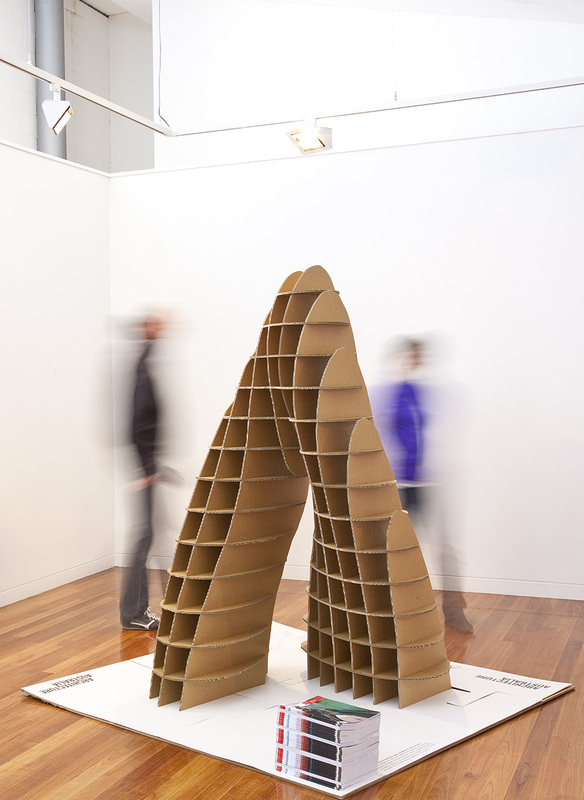 The flat-packed pods travelled from Canberra to Melbourne, to Sydney and finally exhibited at the State Library in Brisbane.